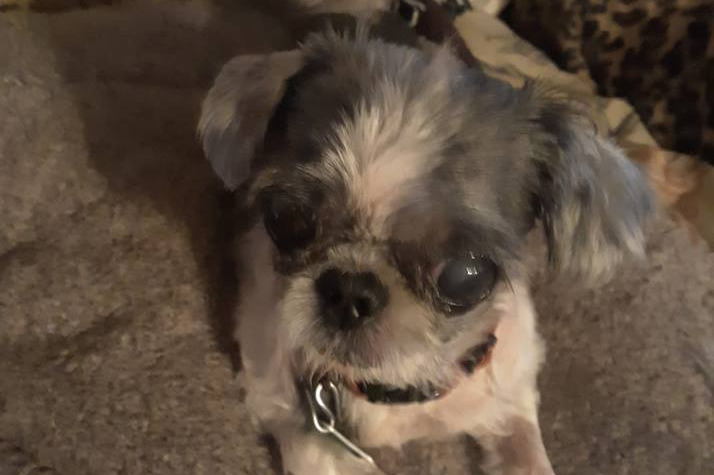 My 5lb Shih Tzu who is almost 15 years old on Friday, was making some strange sound so I rushed her that evening to the animal emergency hospital in Rockledge. She wound up needing CPR during xrays to bring her back to life and then again shortly after. I got this dog there right on the nick of time! They diagnosed her with heart failure and later pulmonary hypertension. As of today Monday the March 11th she is still there. She's been on oxygen, which she was finally taken off of sometime in the middle of the night. They have done blood work a few times because her kidney levels were as high as 127, which is dangerous for a tiny dog. It has dropped a tiny bit with medication, but not enough yet. The bills are huge being at an emergency hospital. I am a former teacher. Most people know that teachers don't make much. I am currently trying to find another full time job. So I am really having a hard time coming up with the vet bills and future medicine to keep her alive. I've had her since she was a puppy. I hope to take her home tomorrow. If not, the bill will go up even more, but I want her to be fine before coming home so I don't have to rush her back there. I would appreciate any money that you can donate to help with her medical expenses from the hospital and medicine. If you can't donate please share this as each share helps a ton as well! See the updates for the actual vet bills! My sweet girl is still hanging in there. She's been waking up around 7:00 and not wanting to go back to sleep. She went almost 8 days until I had to give her cough medicine last night a little before midnight. She hasn't coughed at all this morning. Thanks a zillion to my parents who finally came through with a donation!!! Keep praying for my beautiful dog, share if you can and help me reach 350 shares! If you can afford to help I would appreciate a donation no matter how small. Every dollar adds up! Other than being scared to death on the car ride, the vet trip went really well! The vet checked her heart and listened to my report on her and stated that she is healthy and doing well on the medication. It is the right dose and to keep giving it to her 3 times a day. Use the cough medicine sparingly as needed (hasn't needed in 4 days). He believes she will live a good quality life for another year. He will see her back in 3 months. He did not charge me at all and won't next time either! He said bring her back earlier if things change. She got up on the steps twice today on her own. Very little coughing other than after I gave her the meds this morning, afternoon, and on the car ride to the vet. She ate one meal today. Keep praying as the prayers are working! Please keep sharing! 18 shares until I hit 300 shares! 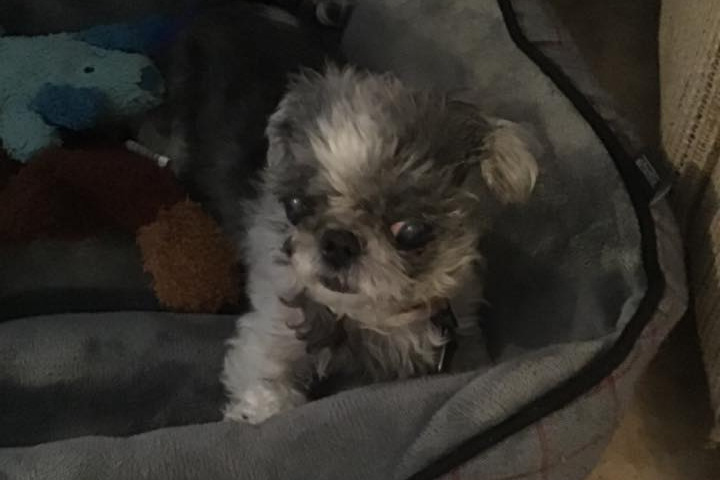 Since the last update my dog snapped out of her funk and is back to doing quite well. I think the stress I was under put stress on her. I did not end up taking her to the vet. The vet appointment is now at 10:30 tomorrow and I spoke with the vet and it will be free of charge! He had no idea that I had called to speak to him a month ago or on Monday and was unaware until Monday of any problems with the prescriptions. I now have his personal cell phone so when I run out of refills I can go through him or when I need cough medicine. She has gone 3 days without any cough medicine! She is making the noises a little, but not continuously like she was and she has been able to sleep through the night! Keep praying for my beautiful dog. Your prayers are certainly working! Please keep sharing as well. We are getting closer to my goal of 300 shares by the weekend! I also appreciate any donations no matter the amount. Even a dollar helps! 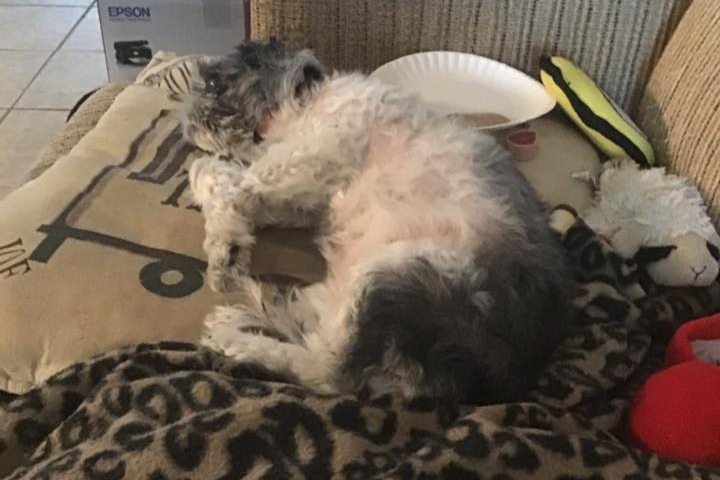 It has been a bit of a rough morning for my dog and I believe she feels my own stress caused by my mother in more ways than one and the Rockledge animal emergency hospital. They were supposed to call in the increased dose of the medication and despite calling twice last time and being assured they would call they never did. I found out when I called the pharmacy then had to majorly complain including trying to get the vet to speak to me on the phone until they elected to call them. I am not going to air all the stress caused by my mother on here. I will though let all my readers, donators, and those who have shared know that none of the anonymous nor other money has come from my parents even though they pledged to help out the very first weekend I brought the dog home after seeing the crazy bills yet they just paid for my nephew and brother's cat bill and my brother lives with my parents (he's about to be 39) and has a job and no bills. The other stuff isn't for this and therefore I won't discuss. I just spent over $100 on more medication for my dog and have an appointment tomorrow for a check up for my dog. I already told them on the phone there better not be any cost for that as they lied to me multiple times about calling in the prescription, which has caused unneeded stress on me and thus on my dog. So those who dropped the ball need to cough up the money. The picture shows a short nap she had today. She's mostly just stood in one place not knowing where she wants to walk to. She isn't making noises. She finally did drink a small amount and barked a bit when the pharmacy came today to deliver the meds. I couldn't believe they were that fast!